Two people have been arrested after an investigation resulted in the seizure of three firearms, heroin and a stolen motorcycle. On May 31, the Durham Regional Police Gun and Gang Unit executed a search warrant at a residence on Ritson Road South in Oshawa. Three firearms, including two rifles and a loaded handgun, were seized as a along with a quantity of heroin and a stolen 2008 Suzuki motorcycle. 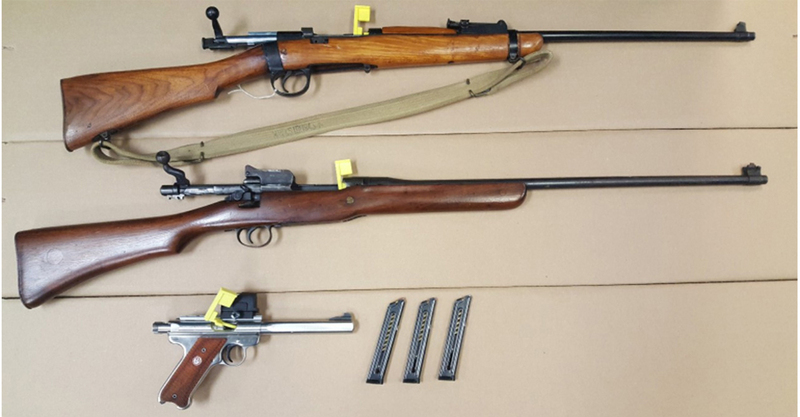 A 28-year-old man and a 40-year-old female, both of Ritson Road South in Oshawa face a combined 29 charges in relation to the weapons and stolen property. Both individuals were held for a bail hearing. Anyone with new information about this investigation is asked to contact the Gun and Gang Unit at 1-888-579-1520 ext. 5802. Anonymous information can be sent to Durham Regional Crime Stoppers at 1-800-222-TIPS (8477) or online at www.durhamregionalcrimestoppers.ca and tipsters may be eligible for a $2,000 cash reward.